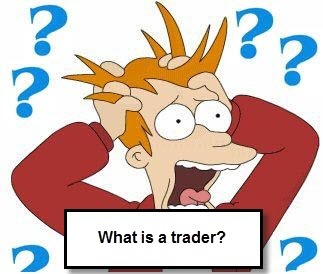 The title is a little provocative but the question has to be asked: Are you cut out to be a trader? What are the qualities of a good trader? What qualities do you need to be a good trader? So are you cut out to be a good trader? Why are you going to lose in trading? A trader, in the case that we are interested in, is an individual investing their own money on the financial markets. For the media and the general public, traders are handsome men who invest millions of their bank's dollars in obscure products, drive Porsches, etc. A punter is the poor chap with €100 in his pocket who is going to buy shares of Eurotunnel and will always find himself broke. In short these are clichés. I don't like the term punter which I find fundamentally pejorative and scornful. For me, a trader is an individual akin to an entrepreneur. He invests his money on the financial markets and manages his capital like a business. He is not an employee like bank traders, he doesn't have the right to unemployment benefits if he fails. He is the sole trader of his capital, he actually takes risks, and he deserves better recognition than the term punter. Anyone can be a trader, but 95% of traders lose money, so what qualities do the 5% of traders who earn on the stock market have? Let me talk to you about what I know best, my last 20 years on the stock market. This is not a narcissistic act because I lost for 15 years and I have only been earning for 5 years. What changed in me or in my vision of trading to switch from the 95% of losers to the 5% of winners (for now?)? 1) I no longer try for the big hit as I was doing with warrants, trying to make over 500% in a week: I have become more modest with more realistic objectives. 2) I no longer try to make a fortune, I try to generate regular income with minimum risk. 3) I no longer play, I lost for a long time because of points 1) and 2). I have become an investor, I no longer look for an adrenaline rush, but to get the maximum from my capital without risk. Trading is serious. 6) I have become a personal workforce, a 7th level Zen monk. One gain or loss no longer makes me very emotional, they are just trades. A stock market crash doesn't stress me anymore, I have already seen so many. 7) I no longer try to find one mathematical "method" to apply dumbly, every day I put everything I know in doubt, I continuously adapt my knowledge and my market trading. I no longer trade as I did a year ago, I will trade differently a year from now. 8) I no longer listen to experts' advice, I think for myself. 9) It's temporary, there is no certainty, just because someone is profitable for a few years doesn't make them a good trader. This is the charm and the difficulty of the profession, that title must be fought for every day. 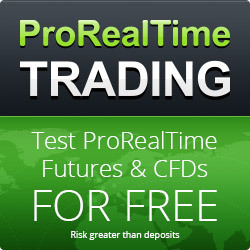 If you are looking to make big hits, to make a fortune on the stock market, to feel excitement or strong emotions, if you do not control your feelings, if you are looking for one method to apply, if you tend to be suggestible, I am afraid that you are in the 95% of losing traders... as I was. You have a 95% chance of losing when you start trading (source AMF and all reliable studies), you don't become a lawyer, doctor, architect, etc. by having a few days' training. It is more likely that you have to give blood, sweat and tears for years. I lost for 12 years with remarkable consistency... like a Swiss clock... and nothing can ever be taken for granted. This is the worst job that I have done, the most difficult psychologically, the most destructive. I was certainly not fast, but don't think that you will make money quickly, get rich, that's a marketing story from brokers who sell dreams. The reality of trading is quite different, less flamboyant. If you are not passionate but just greedy, it is fatal. There is some suffering in trading that we try to hide, but it is there. Each time I write this I am rubbished, but not everyone can be a trader! Not everyone has the skills to be a surgeon, teacher, or professional football player. You need individual qualities. I have been a teacher because I had the right qualities, I am calm, I can explain the same thing 500 times in a different way, it does not bother me. But I am clumsy and so incapable of having a surgeon's precision. I can run quickly but I will never be an athlete. We all have our limitations. We can manage to explain to a female friend, who is ugly as sin but wants to be a model, that this is not her ideal profession without hurting her feelings too much. And it is the same for trading, you need certain qualities for this profession, this also makes it difficult. And it is not an outrageous disgrace if you don't make it, you need to get over it and lose your ego. I know that I will never be a "great trader", able to psychologically handle hundreds of millions of euros, I am aware of my capabilities and limits, I will, at best, be a good 3rd division player, but it is enough to make me happy. You mustn't be unhappy because society extols "always further, always faster, always more on top", these are slogans to make us unhappy our whole life, you have the right not to have a Rolex by the time you are 50. But trading is also an incredible way to get to know yourself, if not to get rich. But let us not delude ourselves, 90% of the population doesn't have the almost innate qualities to be a trader, just as 90% of the population does not have the innate qualities to become a professional football player. For football everyone accepts that, not for trading... Strange... You need to understand that you can try all your life, but if you don't have the essential minimum qualities, there is no chance. I am talking about football, trading and a lot of highly specialised professions which require "out of the ordinary" psychological or emotional resources of the chosen few in trading, football, tennis, golf, etc. 2 Comments for Are you cut out to be a trader?